State Systems, Inc. has years of experience in helping retail stores meet their life safety, fire protection, and technology needs. The retail industry has the unique challenge of having to compete with online stores in a rapidly changing consumer environment. From large department stores to small specialty shops, State Systems, Inc. provides tailored protection and technology solutions you need to protect your business and stay competitive. With State Systems, Inc. on your side, you can return to your daily focus: providing your customers with the best possible shopping experience. We provide fire protection, security, and technology solutions to retail stores across Arkansas, Tennessee, and Mississippi. Contact us online for a quote or call us today at 866-308-5701. Do you manage or own a retail store in or around Memphis, TN, Arkansas, or Mississippi? 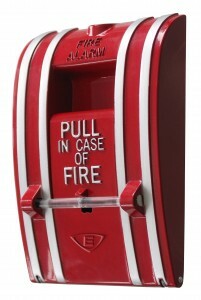 Properly installed fire alarm systems are a requirement no retail business owner in the area can afford to pass on. Retail stores, often referred to as “mercantile” properties by various building codes, include everything from mom-and-pop stores in free-standing buildings to multiple stores in a strip mall. They may also include big-box stores selling books, hardware, sports equipment, or household appliances. Each of these types of stores and different facilities presents different fire alarm system challenges. While the single mom-and-pop store may only require a basic conventional fire alarm system, large malls and big-box stores require more advanced, sophisticated fire alarm systems and multiple fire extinguishers placed strategically throughout the facility. Protect yourself, your valuable business, your employees, and your customers by calling us or contacting us online for retail fire systems. Using a portable fire extinguisher during the first two minutes of a fire is the most cost-effective defense against property damage from a fire. 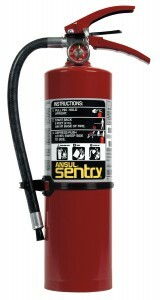 The line of fire extinguishers we stock are rechargeable, high quality, and user-friendly that meet code compliance for light hazard to high hazard and special hazard environments throughout TN, AR, and MS.
Give State Systems, Inc. a call if you need new fire extinguishers added to your business space. We’ll be happy to equip your business with the appropriate size, type, quantity, and distance between fire extinguishers to meet NFPA 10 standards. We offer fire extinguisher training services as well—give us a call to learn more. Fire sprinklers are widely regarded as the single most effective method for preventing the spread of fire in its early stages, often before they cause severe injury to people and massive damage to property. At State Systems, our expert technicians test, inspect, maintain, and repair fire sprinkler systems in retail and commercial businesses throughout the Mid-South. We ensure that your sprinkler systems meet NFPA guidelines as well as local fire safety requirements. Call us or contact us online if you would like to learn more about our fire sprinkler services. Exit and emergency lighting refer to emergency exit signs and emergency lighting fixtures—both of which are required by local, state, and federal building codes to ensure the safety of all building occupants. During emergency situations, exit signs and emergency lighting guide occupants to the nearest outdoor exit. They are crucial components of any business’s evacuation plan. Occupational Safety and Health Administration (OSHA) and NFPA have outlined strict requirements for exit signs and emergency lighting that State Systems, Inc. has years of experience implementing. NFPA requires that all exit signs and emergency lighting devices be inspected monthly and tested annually. The licensed technicians at State Systems, Inc. understand all the requirements and guidelines set by OSHA and NFPA. Contact us for exit sign and emergency lighting installation or inspection services. Here at State Systems, Inc., we want retail business owners to have peace of mind at all times about their facilities’ security. Our commercial access control systems can help address all of the security challenges facing your retail business. They can also help significantly improve employee safety and performance to help you operate your business more safely, efficiently, and reliably. Access control systems provide security by allowing or denying a person’s admittance to an area or facility through the use of access cards or biometric recognition. Does your retail business have secure areas for valuable assets or sensitive information? Do you need to monitor and restrict who has access to these key areas? Does your retail business have multiple locations with universal key-card access that’s difficult to manage? Are you tired of having to replace keys after dismissing employees? If you answered yes to any of these questions, you need to consider a network-based access control system from State Systems, Inc.
We can design a network-based access control system for your retail business—online access control will enable you to login to your access control system from anywhere in the world, on any computer, via the Internet. You’ll have total control of your building 24/7 and a trail of every person that has entered your facility. You can receive alerts and notifications on doors being propped open and when people enter your facility. You’ll even have the ability to remotely unlock a door with a simple mouse click. Contact State Systems for installation of a full access control system for your retail business. Retailing today is a tough business and store owners throughout Tennessee, Arkansas, and Mississippi face many challenges. One of the most obvious challenges is theft, which eats into retail profits. State Systems, Inc. specializes in the design and installation of custom CCTV video surveillance systems for your retail business. 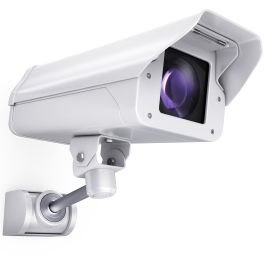 Our skilled technicians can conduct a full site evaluation to determine the type, placement, and number of surveillance cameras necessary to meet your needs. Such systems are even being leveraged to give retailers incredible visibility into the behaviors of their customers—and their staffs. Once connected, the video shots offered by these cameras can be viewed not just to identify potential thieves, but to analyze store traffic, optimize the display of sales promotions, and keep a watchful eye on staff and customers. According to the latest National Retail Security Survey, retailers in 2011 lost $34.5 billion to retail theft, or shrink—the loss of inventory due to employee theft, shoplifting, paperwork errors, or supplier fraud. Contact us for a full CCTV video surveillance system installation—it’ll improve the competitiveness of your retail business. Here at State Systems, we offer all retail businesses—whether they are mom-and-pop stores or big-box stores—outstanding commercial digital signage solutions. Digital signage is the display of multimedia content on electronically controlled displays, most often for advertising purposes. 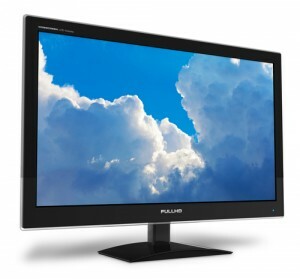 A digital sign consists of a computer or playback device connected to a large, bright screen such as an LCD or plasma display. Digital signage has become a necessity for retail businesses as a result of the world we live in today. The days of static content are long behind us. Customers today are more pleased and impressed with multimedia communications as it enhances the overall shopping experience. Digital signage is easy to customize by season, time of day, and location. The information shown on-screen can be remotely updated in mere seconds, adapting it to regional preferences, lifestyles, buying patterns, and other issues key to connecting with customers, such as weather conditions outside our retail store. When implemented properly and effectively, digital signage attracts, educates, and provides customers with a more exciting and engaging in-store experience—maintaining the audience’s attention and increasing overall sales. As such, digital signage solutions for retail businesses can promote positive word-of-mouth recommendations, vital to the success of any retailer. To enjoy these benefits of digital signage solutions, contact State Systems, Inc. today. We’ll evaluate your retail business and implement a digital signage solution that meets your needs.